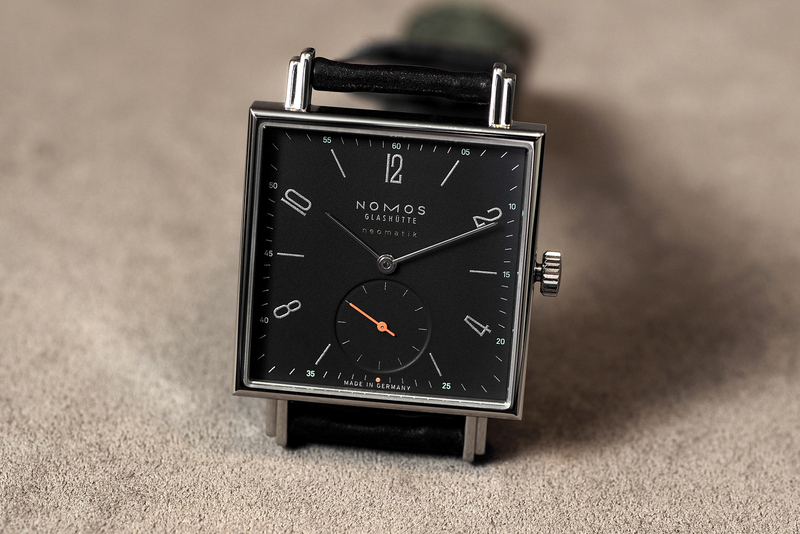 The Tetra Neomatik is the new men’s automatic version of the NOMOS Glashutte square timepiece. Previously only available in 27.5 mm and 29.5 mm square cases, the Tetra now comes in a 33 mm steel case. 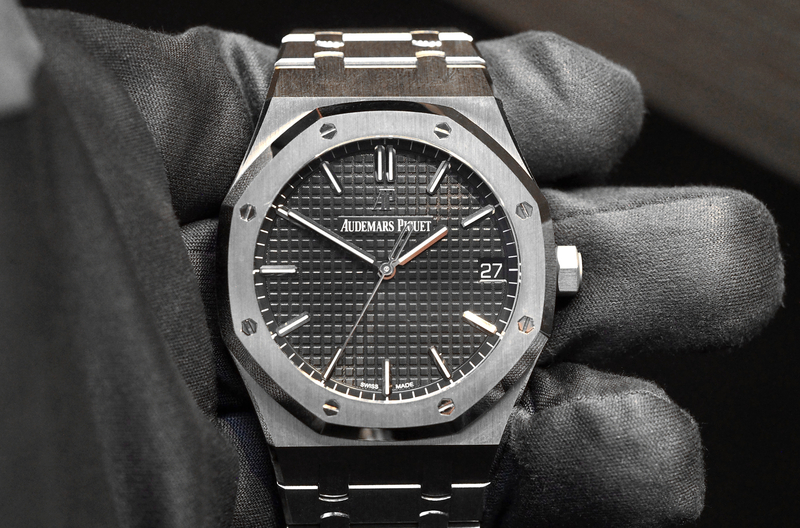 And, it is now equipped with the DUW 3001 in-house caliber with automatic winding. 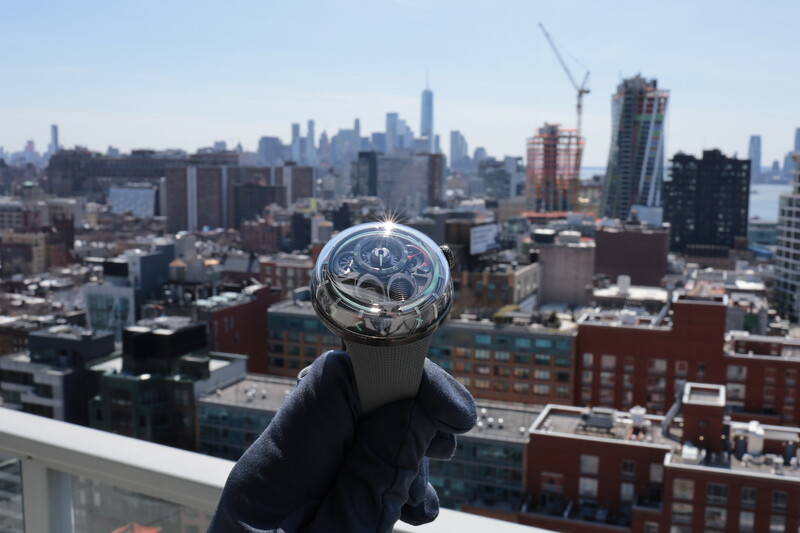 At only 3.2 mm in height, the movement is ultra-thin, and accordingly, so is the case, at 7.2 mm. 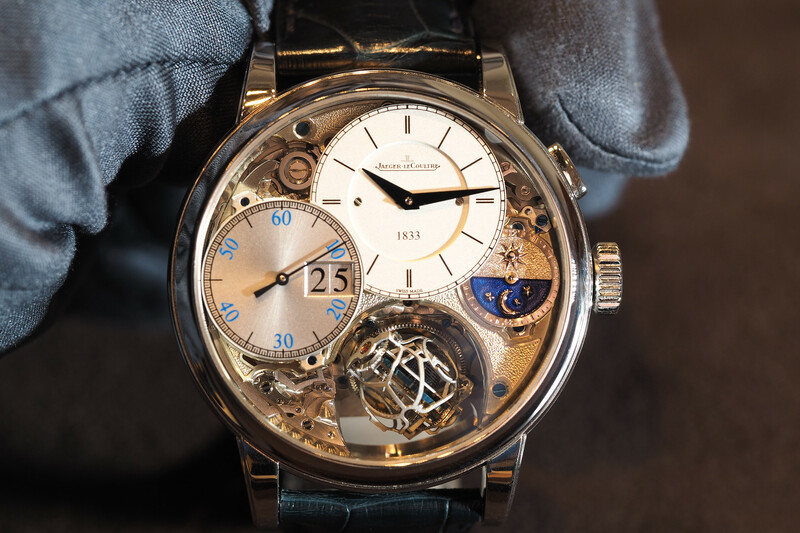 Technically, manufacture caliber DUW 3001 has decentralized seconds, stop-seconds mechanism, Glashütte three-quarter plate, NOMOS balance bridge, 27 jewels, bidirectional winding rotor, Incabloc shock protection, DUW regulatory system, adjusted in six positions, tempered blue screws, rhodium-plated movement surfaces with Glashütte ribbing and NOMOS perlage. The Tetra Neomatik comes with either a galvanized, white silver-plated dial, with cyan-blue print, and hands oxidized black, seconds hand red lacquered (Ref. 421). The second version has a lacquered, deep blue dial with green print, and rhodium-plated hands and a seconds hand is lacquered neon orange (Ref. 422). Tetra Neomatik comes in two versions at once: one with cyan blue accents on a white silver-plated dial, the other with matching green details on a deep blue dial. In contrast to the watches in the 1st edition, the Neomatik logo on both models’ dials is gold, rather than neon-colored. The Nomos Glashutte Tetra Neomatik has a power reserve 42-hours, is water-resistance to 30 meters, and comes with a Horween strap with 20 mm lug width. Available Spring 2016. The retail price is $4010 for the white dial and $4020 for the dark blue dial.